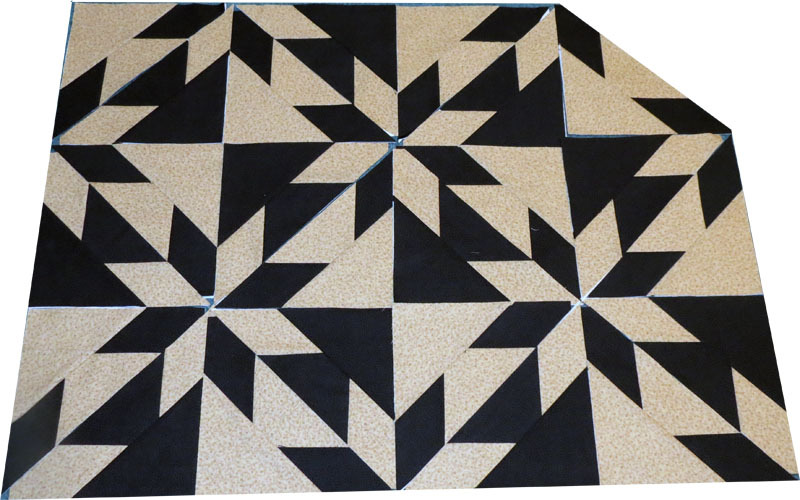 I continue to work on the foundation pieced Hunter's Star quilt. As I mentioned in a previous post, my goal is to get two triangle foundations completed per day. I'm happy with the progress I've made so far. I've missed a couple of days but not many. I'm not sure how I'm going to like using the fabric foundations. They definitely add weight to the block but then again, they seem to help a lot with fabric stretching! I'm also not sure if I will add all three kits to one quilt. It is pretty large so far but once I sew all the blocks together, I'm going to lose inches as well. Time will tell! Really beautiful Trish. I so love this design and have it on my wish list to one day make. Striking design. Just joined the site so bear with me Please ! Just got my Accuquilt for Christmas and the Hunters Star has been my first attempt ! WOW ! Fantastic, I have made 6 blocks and all of my points are actually on point ! If I knew how to post a picture I would ! If someone could give some instructions I would love to share .This tutorial is fantastic !